Beverly - Mary D. Mahoney, 93, formerly of Manchester by the Sea, passed away peacefully at her home at the Herrick House in Beverly on Sunday, November 4, 2018. Born in the home of her parents, Ernest W. and Anna (nee Johanna Sullivan) Dechene in Manchester, Mass., Mary was a "townie," living there most of her life until moving to Beverly in the late nineties to be closer to her family. After graduating from Story High School in 1943, she went to work at Sylvania Lighting in Salem. Following a two-year break after marriage and the birth of her son, Tim, she returned to Sylvania as a secretary, and for the last several years of her career until retirement in 1990, she was the administrative assistant to the company’s CEO. Mary had three main priorities in her life: family, faith and friends. She was a loving and caring daughter, mother and grandmother, aunt and cousin. Sacred Heart Church in Manchester was an important part of her life, including service for many years as a Eucharistic Minister, as well as a volunteer at parish fairs and activities. She enjoyed social life with groups of friends from Manchester, Sylvania and tennis (which she played up to age 88). Before and more so after retirement, Mary literally travelled the world, touring countries on every continent but Antarctica, as well as almost every state in the USA. She also took up genealogy research into her French and Irish family trees. Mary lived for the past five years at the Herrick House in Beverly, where she enjoyed the company of her fellow residents and the loving and attentive care of the staff. Beside her parents, Mary was predeceased by her brother and sister­in-law, Ernest and Pauline Dechene of Buzzards Bay, Mass. She is survived by her son and daughter-in-law, Tim and Anne Mahoney of Topsfield, grandsons, Matthew and Peter Mahoney, nieces, Virginia Birdsong and Margaret Rogers of Virginia and Anne Dixon of Florida, nephew, Paul Dechene of Washington state, and several cousins in New York, England and Ireland. Her funeral Mass will be celebrated at Sacred Heart Church, 62 School St., Manchester by the Sea, Saturday, November 10, 2018 at 10:00 a.m. Relatives and friends are invited to attend. Visiting hours at the Campbell Funeral Home, 525 Cabot Street, Beverly, Friday from 4 to 7 p.m. Burial in the Rosedale Cemetery, Manchester. 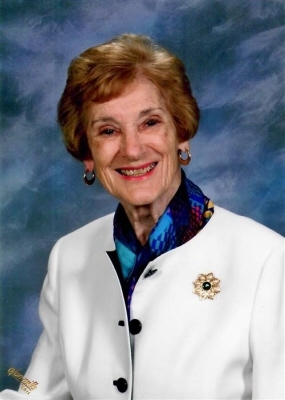 Contributions may be made in her memory to the Sacred Heart Church, 62 School St., Manchester by the Sea, MA 01944 or to the St. Francis House, 39 Boylston St, Boston, MA 02116. Information, directions, condolences at www.campbellfuneral.com. To send flowers or a remembrance gift to the family of Mary D. Mahoney, please visit our Tribute Store. "Email Address" would like to share the life celebration of Mary D. Mahoney. Click on the "link" to go to share a favorite memory or leave a condolence message for the family.